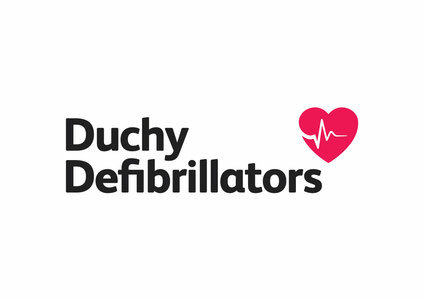 Duchy defibrillators manufacture and supply public access defibrillator cabinets. Our cabinets can include an automated external defibrillator (AED) and/or monitoring. Our cabinets are manufactured to our specifications and are built within Cornwall. They are made of aluminium and powder coated upon manufacture. Each cabinet has a unique door vinyl made with the ambulance cabinet number and address of the cabinet. On top of the vinyl is an electronic digital lock with a programmed access code, which ambulance control will provide to the caller if the device is required. There is a back up key access for local guardians as well. Our cabinets are fully insulated and contain a 20W heater within them to ensure the defibrillator is kept at the correct temperature. There is also an internal LED strip light which operates upon the opening of the door to illuminate the cabinet. If the cabinets are being installed locally, we mount the cabinet on a 4ft x 2ft external ply boarding which we manufacture. This boarding is painted in British racing green and contains the cabinet, a light (with a 1W LED green lamp), triangle sign & an information sign on how to operate the AED. Upon its completion, we then fill in a report to the ambulance service to register the address, location and unlock details for the cabinet. All of the details are added to their system, should they ever need to send anyone to the cabinet. We have developed our own unique monitoring system for our cabinets. This allows for the cabinet to provide us with updates on the cabinet and its contents. With the monitoring device installed, we are able to access lots of information, such as - door open/closed, defibrillator present/removed, the temperature of the cabinet and we can take a photo of the person who has opened the door (if this is required). This allows us to know that the device is rescue ready at any given time. We have developed a free app to work alongside the monitoring equipment. This app will allow local guardians and the community to be able to see all of the information that their cabinet provides. It will also provide the expiry dates of the battery and pads, and the date of the last guardian report. It will also show the defibrillator type and serial numbers for both the pads and the defibrillator. We provide training on the operation of defibrillators to local groups, communities and the general public. The training includes general CPR sessions as well as the chance to use a training defibrillator. Although the defibrillator will talk you through how to operate the unit if required without the need for any training, the training session will allow people the opportunity to experience the use of the machine as well as what to expect should the need ever arise.